CareVest Capital Inc. has been providing customized lending services to the Canadian real estate industry for over 20 years. CareVest® acts as a "mortgage lender" by directly funding millions of dollars annually to real estate owners, builders and developers in British Columbia and Alberta. CareVest originates, underwrites, adjudicates and administers all of its own investment opportunities. 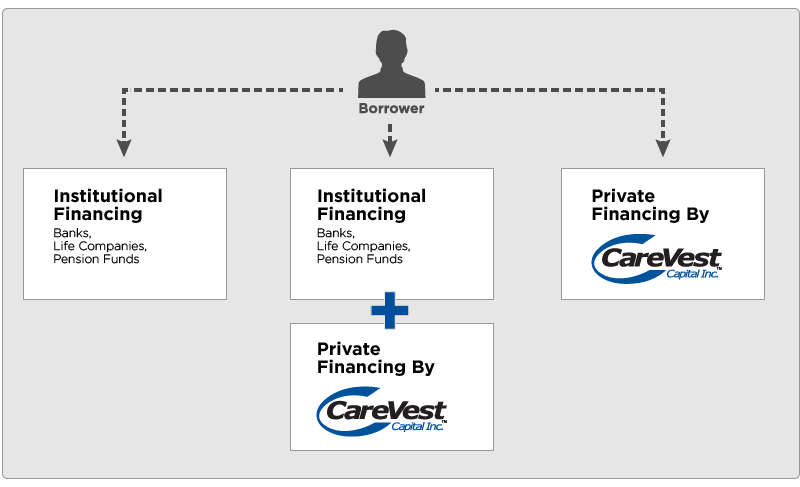 Financing Options with CareVest Capital Inc. The funding and administration phase is managed by the lender’s mortgage services group and involves the review and satisfaction of all conditions precedent to funding and registration of security granted in the commitment letter. Copyright © 2019 CareVest Capital.